When Amalia Hernández asked her father for dance lessons at an early age, he hired the best instructors he could afford. A primary dancer with the Pavlova Dance Company and Madame Dambré from the Paris Opera Two came to their home to teach Hernández the magic of ballet. Before long, she felt limited by the rigorous routines. She tried Spanish flamenco and modern dance. She learned the basic steps, the formality, and the techniques, but not one type of dance was emotionally fulfilling despite her reputable teachers. She felt no connection to the foreign dances and music. She began teaching modern dance at the Fine Arts National Institute but her search continued. Hernández traveled throughout Mexico, to the mountainsides, the valleys, the little towns, the rural country, the coastline. She talked to people and explored each community’s culture. She heard her own native music and saw her own native dance in every corner she visited. And she felt a connection. In 1952 she left the institute to start her own company, her vision finally in place. 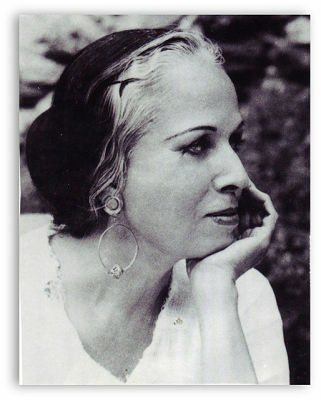 She founded the Ballet Folklórico de México de Amalia Hernández. This was her passion, to share the beauty and the richness of her culture through folkloric dances that had survived generations. The dances celebrated life and Mexico’s diverse culture and folklore through movement, music, and color. An opportunity arose to air her uniquely choreographed ballets on a weekly television program. It caught the attention of the Tourism Department, which asked if she would travel to other countries to represent Mexico in the arts. What began as a company of eight dancers that produced dances based on Mexican folklore for television and concert performance grew to be one of the world’s preeminent ethnic ballet companies. In 1959, their touring proved successful, starting with the Chicago, Illinois, Pan-American Games. Based on that tour, the Mexican government offered to sponsor and support the ballet in any way necessary to make her company one of the best in the world. Headquartered at the National Institute of Fine Arts in Mexico City, the ballet toured worldwide. Ballet Folklórico was selected as an official representative of the Mexican government at the Paris Festival of Nations in 1961. Her troupe earned what would be its first award of more than 200. The Ballet Folklórico continued to grow. Based at the Palacio de Bellas Artes (Palace of Fine Arts) in Mexico City, the company has approximately seventy-five performers at one time, but more than 20,000 students and dancers have passed through the company and school. Hernández continued to choreograph as well as dance in her productions until close to her retirement. The Ballet Folklórico won the National Prize for Culture, Mexico’s highest award in the arts. The Hispanic Women’s Council named Hernández International Woman of the Year. Her daughters Norma Lopez and Viviana Hernández continue their mother’s vision and tradition as the Ballet Folklórico’s directors and choreographers.